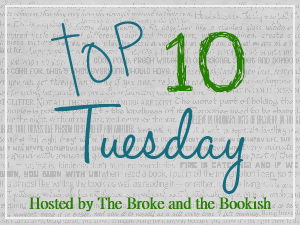 This week on Top Ten Tuesday we get to pick a topic we've missed or would like to revisit. Since I haven't been part of this for very long, I have heaps of options to choose from! Going through the list, I couldn't pass up the Top Ten Series I Haven't Finished Yet topic. Oh my word, there are quite a few series I either haven't finished or never plan to. I don't think I used to have a problem with finishing series I enjoyed before, but I certainly do now. There is so much going on, I can't seem to get back to those series I fell in love with! Gah! 1. Books of Bayern series by Shannon Hale: Last week I shared The Goose Girl (the first book in this series) as one of my favorite reads before I started blogging. Well, I have a confession to make... I haven't finished the series yet. I know, for shame! 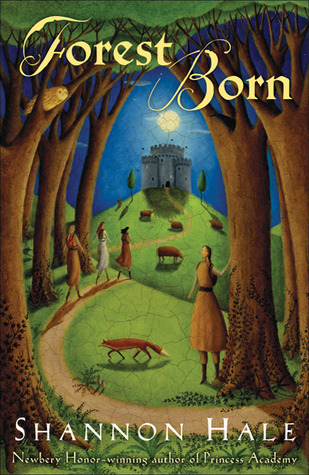 I've read the first three, but not the final one, Forest Born. I have it, I just haven't read it yet. I even purchased the special copy that matches my other books! I need to remedy this, you guys. 2. 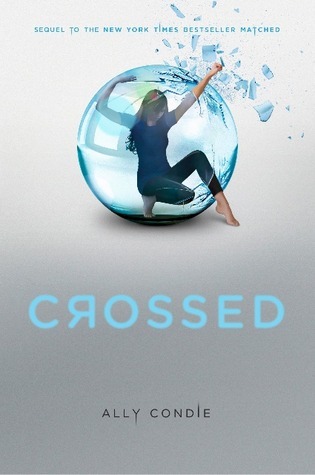 Matched trilogy by Ally Condie: This is one where I liked the first book well enough, but not enough to rush out and get the next ones. I do want to read the rest, though. I want to know what happens! Eventually I'll find out. 3. 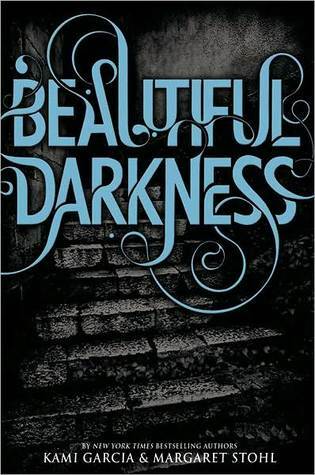 Wicked Lovely series by Melissa Marr: I really, really liked Wicked Lovely when I read it. I remember checking it out from the library and pretty much devouring it. Then I got distracted with life and kind of forgot about finishing the rest of the Wicked Lovely series. 4. Across the Universe trilogy by Beth Revis: I DO NOT want to see this series end! 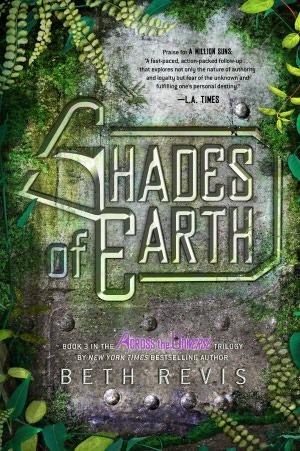 I have the final book, Shades of Earth, but I can't bring myself to pick it up. I know I'll read it and then it will be all over. Sometimes I just have a hard time letting go... probably why I decided it would be good to sign up for the Don't Let It End Reading Challenge. Ahem. 5. 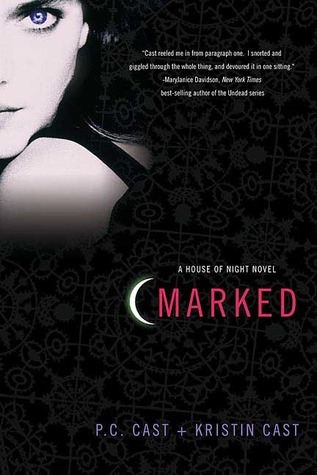 House of Night series by P. C. Cast and Kristin Cast: Here we come to the first series in this list that I have no plan on ever finishing. I read the first two books before I realized I really didn't like this series. I didn't like the characters, I didn't like the writing and I really couldn't care less how the story turned out. It will always be one I have no interest in ever reading again. 6. 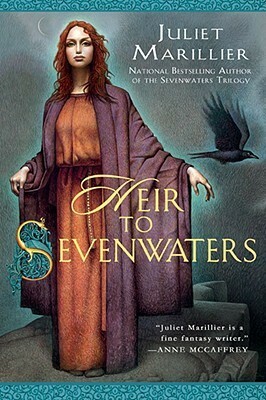 Sevenwaters series by Juliet Marillier: This series also contains a book I mentioned in my post last week. I have the fourth book waiting on my shelf, but I'm worried it's been so long since I read the previous books, I won't remember anything! I don't know why I don't just pick it up and read it anyway... other than my reading schedule is fairly busy right now. Le sigh. 7. 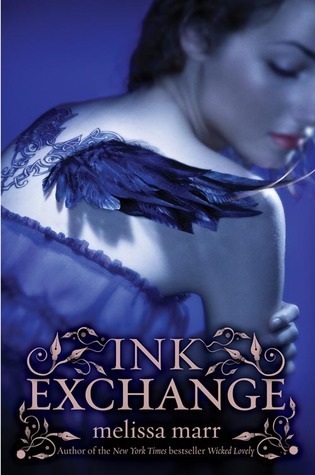 Caster Chronicles by Kami Garcia and Margaret Stohl: I'll admit it... I haven't finished this series yet because the books are so BIG! I have all but the final book in my possession, but I've been too chicken to dive into them. I'm so weird. 8. 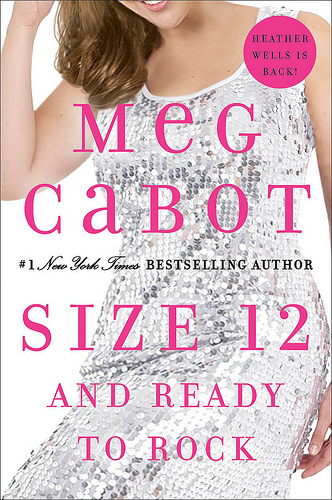 Heather Wells series by Meg Cabot: This series cracked me up when I finished it... or rather, when I thought I finished it. Little did I know Meg was going to bring us more mystery and hilarity! I've picked up book four, Size 12 and Ready to Rock, but I have yet to read it. I also just found out RIGHT NOW that there will be a fifth book coming out in September! In all honesty, I've been wanting to read the series again, so now may be the time to do so! 9. The Giver Quartet by Lois Lowry: What is wrong with me?! I have no idea why I haven't finished this series yet. I consider The Giver to be one of my all-time favorite books, but I haven't read any of the others yet? What the what the? I know Son, the fourth book, barely came out... but still. I need to get on this, STAT! 10. 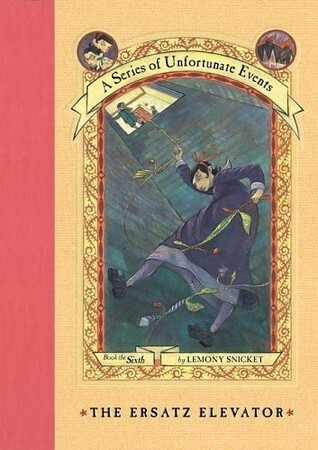 A Series of Unfortunate Events by Lemony Snicket: I read the first five books with some kids I used to babysit, but I haven't finished it since then. They're fun and super quick - even for a slow reader like myself - so I have no idea why I haven't finished them yet. I think a little silly is due. Are there any series you have yet to finish reading? Any thoughts on whether or not I should avoid or rush to read any of the books above? Share your thoughts in the comments below! For those wishing to see what this meme is all about, click on the banner above or go HERE. 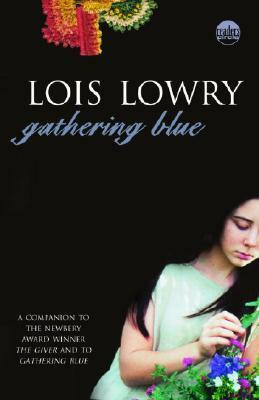 I say a big "YES" to the Lois Lowry series. It's the best kind of series; each book is related but different. Here's my Top Ten list of Top Ten lists! Check out my Top Ten! OMG! This reminded me of series I have yet to finish! Like you, I'm not yet done with the Caster Chronicles and the Series of Unfortunate Events. It would be a waste to not finish such amazing stories! And I'm currently reading Snicket's series, never read them before. I haven't finished the Matched triolgy either. The second book was a snooze-fest! nice list. i actually haven't started most of these series. i tried listening to the audio of matched but just could not pay attention. i will have try it in regular book form soon. Fun post! I still need to finish A Series of Unfortunate Events, as well, and didn't (and won't) make it past the first book in Matched. I love the Heather Wells series! I was so excited when the 4th book came out and am thrilled we don't have to wait another 5 years for the 5th one! I completely agree with Marked. I read it a couple of years ago and wrote a review on it on my blog (http://booksteame.com/2011/12/02/marked-book-review/), but I just did not care about it at all and refused to read the rest of the books. I loved The Giver, but also didn't read the other books, which is a shame. I'll have to one day. And I enjoyed Wicked Lovely, too, but like you I think I got distracted elsewhere and didn't read the rest. At this point, I don't think I want to anymore.